Why am I going on about this? Well, because at approximately 5:45 p.m. this evening, it will be 37 years of wedded bliss/annoyance/indifference for me and The Tim. That's a long time. Some days longer than others, as those in any kind of relationship I'm sure will understand. Our wedding was small. We have spent more years than not barely making it to pay the bills. We don't have children, and have spent so much time listening to how we should because you don't know true love until you are a parent. We have been called self-obsessed because we are not parents. We have been there for each other when our own parents died. We have rejoiced and enjoyed the births and other milestone moments of our many nieces and nephews, great-nieces and great-nephews. We have adored and continue to adore all the pets who have been in our families. We have gone through a lot of cancer together (me as the patient, him as the caretaker). We have discussed many topics both important and ridiculous well beyond their lifespans. We have proven my mother's comment that it was a good thing we found each other, "because it saves two other people." And we have always agreed that we would never divorce because each of us are too stubborn to admit it isn't working. And there are at least a million other things I could add to the list. But whatever it's been, we have done it together - physically, spiritually, or mentally. And even if not consciously, it's been work. More work than planning a wedding that will be remembered for all time. Because our wedding was one day, thirty-seven years ago. But our anniversary is today. Life can work out pretty well overall if you just pay attention. Apparently, there is a thing known as NaBloPoMo, which is short for November Blog Post Month, meaning you will post something every day in the month. I need to give this some thought, especially since Slow Fashion October didn't end up working out for me (that's a whole 'nother post), and I thought that would be a cinch. Such is life, you know? 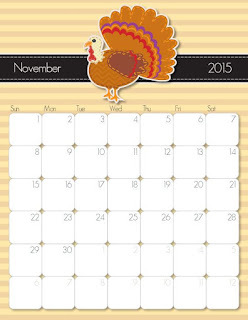 In any event, this week for Ten on Tuesday, Carole wants us to list Ten Ideas for November Daily Blogging. I like thinking about what I might have to say in any given post (even if that doesn't seem the case when you are actually reading), so I thought I'd give this a try. I am going to try to mix it up with things that are usual topics, and then other random things that make their way into my brain. 1. Alliteration Days. You know - such as "Ten on Tuesday" or "Five on Friday." Thinking about this, I like the idea of "Madness Mondays" (you decide what madness is), or even "Weird or Wonky Wednesdays" since let's face it, there would always be something for that. 2. Good things. November brings us to Thanksgiving, and even if you don't give it much conscious thought for the rest of the year, think of some good things during this month. Things that make you happy, things you are thankful for, etc. I have found that trying to think of good things on a bad day can help me a lot. 3. Quotes, poems, prayers for the day. Some days you just feel like a good quote, you know? 4. Pickles. Accordions. Lamps. I think it would be fun to write a post about whatever word pops into your head when you sit down to write. 5. Holidays. Veteran's Day, Thanksgiving, Hannukah, Kwanzaa, Festivus. How do you celebrate? Do you celebrate? 6. Of course, project updates, whether knitting, sewing, painting, or whatever you are in the process of doing, and how it's going. 7. A photo/video tour. Of your house, your office, your craft room, a park nearby. Show people some of your favorite places/things. 9. Tips. Have you figured out an easier way to do X? Why not share it with everyone else? 10. Whys. Why do you like something? Why do you always do something a certain way? Why do you still blog, when others count on Facebook, Instagram, etc.? I think if you don't force it, NaBloPoMo, could be fun. And if you don't obsess over what to write, or show, you could actually enjoy the daily challenge of it. The problem is overthinking. Carole shared this post, which also has ideas and prompts, and I'm sure if you read the other Ten on Tuesday posts, you'll get even more possibilities. As for me ... well, it could happen. Who knows? Last week at this time, I could not wait for the end of the workday (even more than usual), because we were going to leave after I got home for a long weekend in Rehoboth Beach with my niece Amanda and her husband Pat. This had been planned for a few months, and to say I'd been looking forward to it would be an understatement. When we go to Rehoboth Beach, Dug comes with us, and he *loves* it. Amanda and Pat are two of his favorites, and he loves the house where we stay, because it has screened in back and front porches, and there is a little lake with a path around it in the back. He thinks it's just the best. The couple of days before, he'd had diarrhea, but he gets it occasionally, and nine times out of ten it clears up on its own. So we piled ourselves and our stuff into the car, and arrived around 10:00 p.m. We spent the rest of the evening laughing, talking, and drinking wine, and Dug went out a few times more than usual, but still just had the same problem, nothing else. But overnight, he woke us up after having accidents two different times. We figured we would run to the grocery store in the morning and get some chicken and rice and start him on a bland diet, as the vet usually suggests. But in the morning the kitchen floor was covered in blood. He seemed his usual self - not lethargic, or sick, or anything - but we decided we had to head home so we could take him to the vet. So we ate breakfast, visited a little longer, and then packed up again and headed home. We left around 10:00 a.m.
Fortunately, the vet said he was fine overall, but was suffering from colitis, and would need some antibiotics for 7 days, and the chicken-rice diet for 10 days. By Saturday he was fine, and by Sunday his system was reacting properly. So instead of a beach vacation, we had a long weekend at home with absolutely no plans. It turned out to be great. Saturday we checked out a new outlet mall not far from us, where The Tim found two pairs of shoes, and I got a sweater. Then we came home, relaxed, and watched the Notre Dame football game. Sunday we worked on some projects around the house, and caught up on some movies we'd recorded. Monday we got our Halloween decorations out (not that we have that many, but still it's fun to decorate) and made our house look a little more spooky than usual. I wish we'd been able to stay at the beach, but it all worked out for the best. I even finished a book and got a good amount of knitting accomplished! 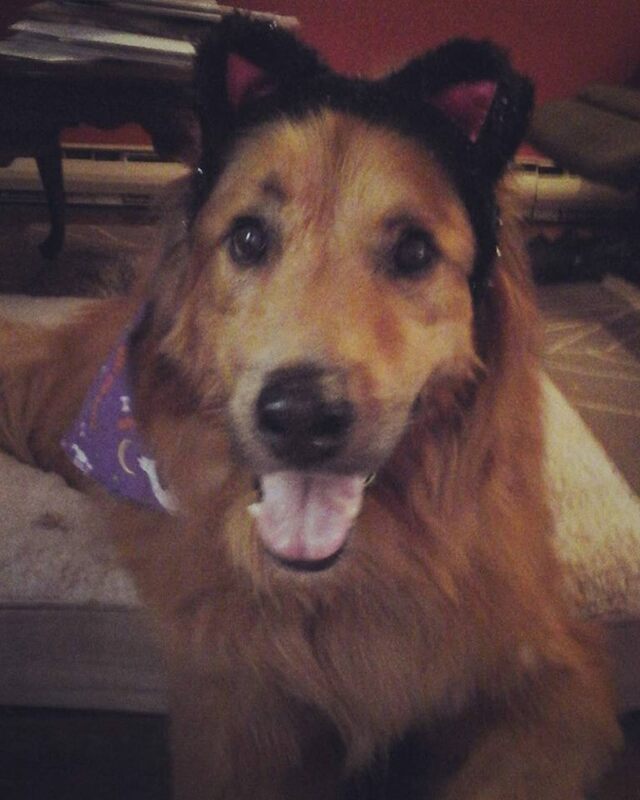 But most importantly of all, by the end of the weekend, this guy was back to being 100% healthy, and trying on some Halloween costumes. To quote some famous guy, "All's well that ends well." On Saturday, October 24, Dug and I will be participating in the PAWS Mutt Strut. This is the third year in a row we are walking (well, with Dug it's more like meandering), and I have upped our fundraising goal. In past years, we've been lucky to meet the goal we set for ourselves, and I am hoping that this year we can do it again. PAWS is a great organization. They are the city of Philadelphia's only no-kill shelter, but they also provide inexpensive spay, neuter, and health services for all pets, as well as free spaying and neutering for feral cats. They go to the city shelter whenever they can, and pull urgent animals so that they are not euthanized. The Mutt Strut is one of their fundraising efforts, and besides being a good cause, it's a fun time. Dug loves it, because there are other dogs, people paying attention to him and treats! I love it because it gives me the chance - even if only once a year - to feel like I'm really putting my money where my mouth is. OK, thanks for reading, and for even giving it a thought. We'll let you know how we do, one way or another. And of course, you'll see pictures! 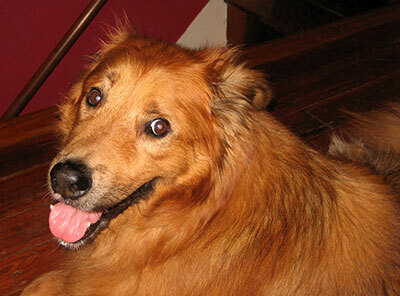 Dug says, "Thank you for helping homeless animals!" 1. Friday night, we tried pizza from a place that has been consistently listed as the Best Vegan Pizza in Philadelphia. Though we are not vegans, we wanted to try it. (We may have also ordered a Vegan Philly Cheesesteak and an order of Vegan Buffalo Wings to try.) I was skeptical, since I am generally not a fan of vegan cheese, but I have to say that all of it was amazing and some of the most delicious food I've ever tasted! And we have leftover pizza for lunch this week, which is a plus. 3. Caught up on some TV shows we had recorded. 5. Took a leisurely bubble bath on Saturday night. I used to do this regularly, but started to feel guilty about the amount of water used. So now it's a special treat, and I really enjoyed it. 6. Met up with a new neighbor for coffee. I signed up for a thing called Nextdoor, which is an online site that is sorta like social media for your neighborhood. A woman posted a question that I answered and it turns out she just moved here and lives two blocks away. So we decided to meet for coffee. I am happy to report that she is not a serial killer, she likes reading, cooking, and cats, and wants to get back in to knitting. This is such an unlikely thing for me to do, but fortunately it worked out. 7. Went to the Pennsylvania Guild of Craftsmen Fine Crafts Fair. I love this event. It's each May and October for a weekend, and the stuff is amazing. I always save up some cash to treat myself. This year I bought a pair of earrings, which I am wearing today. 8. Did a huge purge of my closet. That felt good. 9. Drank wine. That always feels good. 10. Yesterday, to finish off the weekend on a particularly high note, I made batch of granola from a recipe by Clara Parkes - yes, she if the Knitters Review and several books fame. This is the second batch I have made in the past few weeks - even The Tim likes it, so it's worth the time, effort, and ingredients. Of course, I also did things like laundry, some cleaning up, paid bills, etc. But I do those every weekend (much like #9 on my list ... which come to think of it, I do every day. But I digress ...). The good news is, this is a short week as a result of the long weekend, and next weekend we are spending the weekend with my niece and her husband at their beach house at Rehoboth Beach. So I even have something else fun to anticipate! Have a good week yourselves! Well, it appears that quarterly is the plan for 2015. That's fine, since it's not a contest, and I'm not getting a grade. I'm just surprised that's how it is turning out this year. Oh well, here you go. These are my thoughts on what I've read during July, August, and September. Worn Stories, by Emily Spivak. I wanted to read this book and I really wanted to like it. But I don't know if it just isn't that well put together, or if I just wasn't in the mood for it. But I started it, and had absolutely no desire to finish it, so back to the library it went. Flying Shoes, by Lisa Howorth. This book introduces Mary Byrd Thornton, a married woman with two children, living in Mississippi in the late 1990s. One day she receives a phone call from a reporter in Richmond, asking her about the case of her younger brother who was kidnapped and killed on Mother's Day in 1966. This takes Mary Byrd back to the time, place, and family in Virginia where she grew up, and where this happened. She has always had a certain degree of guilt about her younger brother's death, and it has colored her personality and life for nearly as long as she can remember. There is a detective who is working on cold cases, and wants to update the family on details. I found this part of the book really interesting, and thought the author did a good job of evoking people, places, and emotions about this time. (I later found out that the author's younger brother was also kidnapped and murdered, and it has never been solved.) An event like this changes every person in a family in some way, and also changes a community, particularly at a time when people were not necessarily as aware of child predators as they are now. I can't say that I really liked Mary Byrd. She was interesting, but not that appealing to me. I liked the book overall, and kept reading to the end, but found it odd and frankly frustrating when chapters would be about tangential characters. I guess it was supposed to lend flavor of time and place to the story, but I think they could have been left out, or at least shortened, and the main story would have held up just fine. The Budapest House, by Marcus Ferrar. Well crap. I was really looking forward to reading this. But 40-some pages in, I'm giving up. The story has potential - the story of Hungary after the first world war and beyond, and the story of one family. I know I would enjoy reading this story if it were written by someone else. But the author's style is just so painful for me to read, I'm moving on to something else. I realize that others may enjoy the way he tells the story, but it's just working for me. Anyway, in this particular story, Rizzoli and her partner Thomas Moore are working on a case that eerily duplicates a serial killer's practices from a few years before. The thing is, that serial killer's last victim not only survived, but managed to shoot the killer to death. She now lives in Boston, and Rizzoli and Moore bring her in to help them. But it turns out that the current killer seems to know a lot of details about what happened, and begins to follow certain rituals that make the former victim, a doctor at a Boston hospital, think that she is in danger. I don't want to give out any spoilers, so that is as much as I'll say. I enjoyed this book, it was nicely paced and the mystery kept me reading. There were actually a couple of times when I was creeped out enough to put it down during the evening and wait until daylight to pick it up again. In this book, the Isles character is not present, but I found Rizzoli to be smart, willful, and determined. I can see myself reading at least one more in this series to see how it goes. Homicide in Hardcover, by Kate Carlisle. I don't remember how I came across this, but it was on my Nook, and I was in the mood for a mystery. This book introduces Brooklyn Wainwright, a San Francisco rare books conservator. She attends a reception for an upcoming exhibit where her mentor is the person doing the conservation. Unfortunately, shortly after they have a warm reunion, he is found murdered in his workshop. At first, Brooklyn is a suspect, but later is asked to complete the work her mentor had begun. Things get creepy fast, as another rare book conservator is also murdered, and Brooklyn's apartment and her late mentor's workshops are both broken into and ransacked. She is racing against time to catch the murderer before she becomes the next victim. I enjoyed this book. I liked the San Francisco setting, and I found the main character and her family amusing. I liked that she grew up in a kind of commune, and that her parents were Deadheads (big time!). And the rare book nerd in me REALLY enjoyed the book parts. I would have enjoyed it for that part alone. I'll definitely check out another one in this series. I Shall Not Want, by Julia Spencer-Fleming. I have read this series from the first book, and have really been enjoying it. I am now afraid though, that it might veer away from what makes it so interesting. But that's still to be seen. Anyway, the main plot in this installment is trying to figure out who has killed migrant workers who have been hired to help on various farms in Millers Kill, NY, where the Reverend Clare Fergusson is the pastor at St. Albans Church, and where Russ Van Alstyne is the captain of the police force. Throughout the series, Clare and Russ have found themselves working together to solve crimes in the town, with each of them bringing something to the process. In the previous book, Russ was at a crime scene involving Clare when his wife was killed. As this book opens, he has been staying away from her, since he feels guilty and conflicted about his wife's death. For her part, Clare is also staying away, trying to sort out her feelings for the police captain. She has also since joined the National Guard, and is active in training. But when a van with a group of migrant workers is shot at and crashes, she finds herself involved, and since Russ is also investigating they are thrown together. This was a good mystery, in that I had a hard time figuring out what might be going on. The ending was not a complete surprise, but was much more involved than those in the previous books in the series. The Clare/Russ story though, could be going downhill for me. In this book, they finally do resolve their guilt, and confess their love for each other, yadda yadda yadda. As the book ends, Clare has been called up to active duty in Iraq, and Russ sees her off, both of them wondering what will be next. When they were not a couple, I found them much more interesting. They had the kind of conflicts that people who work closely together and are maybe attracted to one another might have. It made their working together pretty interesting. Now I fear that they will inevitably get married, probably have a baby, and the dynamics of the stories will change and become predictable. I'm not saying that I know that has happened, but I'm almost reluctant to read the next one because of this. I will read it though, hoping to be pleasantly surprised. Crazy Salad and Scribble Scribble : Some Things About Women and Notes on Media, by Nora Ephron. OK, admittedly, I didn't read every piece in the book. Those I did read were well-written, as you would expect from Nora Ephron. However, I didn't enjoy this book as much as I was hoping to, mainly because it was a collection of her more "serious" essays, and many were really dated (for example, a lot of Watergate stuff). Don't get me wrong, I wasn't annoyed that they were not more recent, and she got in some funny comments and good digs at some of the people we all loved to hate back then. But I was thinking this would be more of her humorous essays. So, three stars for good writing. A Misalliance, by Anita Brookner. This was a very interesting read, and funny in parts. It follows Blanche, a woman of a certain age whose husband Bertie has left her for a younger woman who works with computers and is called Mousie. Blanche tries very hard to keep herself from becoming a recluse, and follows a certain routine every day so that she won't give up on things. She spends a lot of time wondering why things went wrong, when she tried so hard to be a good wife, and not embarrass or annoy her husband. When she gets involved Sally Beamish, a young woman with a stepdaughter named Elinor, she begins to feel that she can make a difference in their lives. Eventually, it becomes clear that Sally is making no effort to improve her life, but rather counting on Blanche and other friends to do everything boring and uninteresting, so that she can enjoy the fun things in life. Towards the end of the book, Blanche has had enough, and finally decides to break away, and also to start living the rest of her life. But a big event happens at the end, so we never learn if she becomes the new woman she wants to be, or goes back to her old life. This is the second Anita Brookner book I've read, and it was well-written with interesting but quirky characters (quirky in a good way!). This is one of those wonderful books that I can see myself picking up many more times to read through, either the whole thing, or just pieces of it. You can easily read the whole thing straight through in a couple of hours, but I always like to take my time with Anne Lamott. She posits in this book that in any given day, we all say three prayers: Help (from big things to little things), Thanks (again, for all of it), and Wow (even when we don't realize we are praying). She gives various examples, but in the usual Anne Lamott way, makes spirituality, religion, and belief in God a serious topic but also entertaining and very thoughtful. It never hurts to be reminded that we just may not be the ultimate center of the universe. Dying in the Wool, by Frances Brody. I don't remember how/why I had this book, but it turned out to be an interesting and enjoyable read. It takes place after World War I in England, and the main character Kate Shackleton, has been helping wives, girlfriends, and mothers track down missing soldiers, with contacts she has through her adoptive father in the police force, as well as through contacts she made as a nurse volunteer during the war. Her own husband, Gerald, is presumed dead by most, but Kate still thinks of him as "missing." She gets a phone call from an acquaintance from her volunteer service, asking for her help in locating the girl's father, a wealthy mill owner who disappeared. The girl, Tabitha, is getting married, and would like her father to walk her down the aisle. His disappearance has a lot of mystery surrounding it, and Tabitha has heard about Kate's luck finding missing persons. I liked learning about mill work and the manufacture of wool, particularly during this time period. Kate is an interesting and well-written person, and the mystery had enough twists and turns to keep me interested. So I will likely read the next in the series at some point, to see if it continues as something I want to keep reading. Nine Lives to Die, by Rita Mae Brown. First of all, you should know that I am a sucker for these books, so I am already inclined to like them even before I open them. In this installment, Harry and her animal friends are busy getting ready for Christmas, when two prominent businessmen in their town die suddenly. Was it because of the heavy snow? If so, why did each body have two fingers missing, and the same fingers at that? And as far as the animals are concerned, where did the skeleton in the woods come from? Why is it missing part of an arm? These two things intersect in an interesting story. As always, the "conversations" among the animals are my favorite parts. I do wish I'd read this during Christmastime, but since it was loaned to me by a friend, I didn't want to keep it that long! The Night Watch, by Sarah Waters. This was a really interesting book. It focuses on a few characters, and starts in 1947, then goes back to 1944, and finally to 1941. By the end of the book, you have learned the back stories of each character, and how they intertwine, directly or indirectly. But what I think this does best of all is evoke London during those years. The thinking, the people, and the hardships they dealt with as a result of World War II. Though I can't really say I got attached to any character in particular, they were all well-drawn and seemed real. I could picture the places and the atmosphere in my head, and you felt the danger, happiness, and the everyday-ness of their lives. Have you read any of these? If so, what did you think? Or, what have you read lately that you can recommend? Let me know! 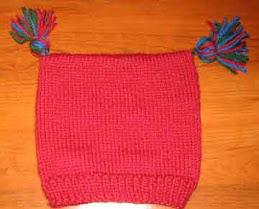 I do a pretty decent job of knitting things on time if they are a gift for someone else. I may be a teensy bit late, but no more than that. I'm usually even on time. I think it's because I want someone I'm gifting to know that I'm thinking of them, and conscious of noting the holiday/birthday/whatever. Knitting for myself, though? Well ... that usually takes a while, even if I *think* I'm knitting with a deadline. You may remember my Halloween Socks. I started them at the beginning of October last year, with the confidence that I would be able to wear them for Halloween later that month. I finished them in January of this year. Fortunately, Halloween comes around every 12 months. 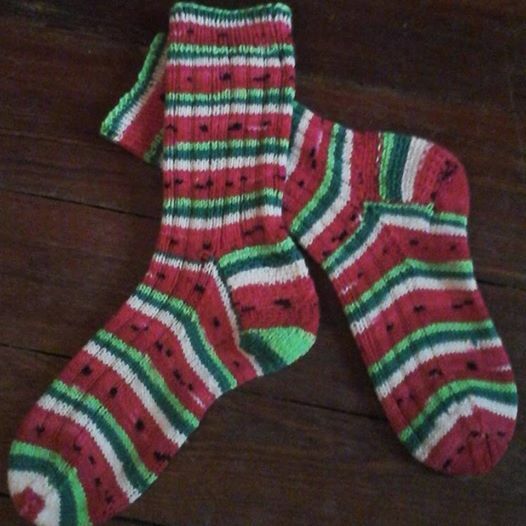 Then, a week before Memorial Day, I started these socks, which I called "Watermelon, Anyone?" I had every plan to wear them for the rest of the spring, into summer. 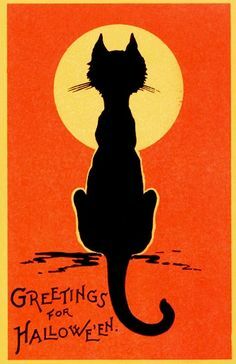 Fortunately, spring and summer come around every year, just like Halloween. Because, I finally finished them last week. You know, after watermelon season. As a friend said when I mentioned how I seemed to complete things out of season, "You are Fashion Forward." I'm gonna stick with that. Modifications: I made the leg part longer, otherwise, just followed the pattern as written. Comments: I LOVE how these turned out! 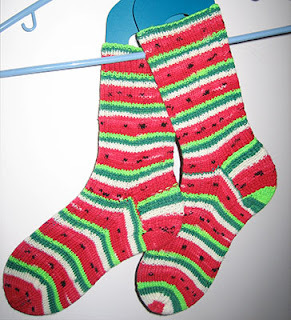 They were such fun to knit, because I couldn't wait each time to see the next "watermelon" pattern turn out. I put them down for a long time due to a) laziness, and b) a sore elbow that made it hard to knit, but I am really happy with the resulting socks. And I'll be all set next spring/summer! 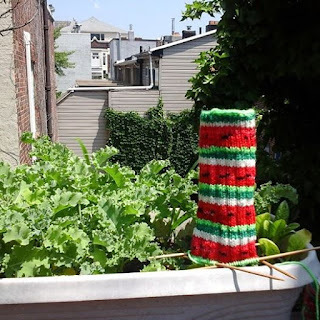 Also, when I was knitting these, one of my nieces was amazed that the yarn made the pattern. When I showed her the resulting socks, she said, "I like how the yarn knows what to do." That made me laugh! Hello there on a dreary, chilly, very rainy Friday at the beginning of October. It was so windy today, my poor umbrella died. Thank goodness I was on my way home, so I could get here, warm up, and put on dry clothes! But it's all fine with me, because October is one of my favorite months. To me, it means that fall is actually arriving, and is the beginning of the Anticipation Season, with Halloween at the end of the month. For a year or so, I've been reading the Fringe Association blog. I was made aware of it by Kate Gagnon Osborn and Courtney Kelley, who are friends of mine, but also the driving forces behind Kelbourne Woolens. They mentioned it on their blog, and I've been reading along ever since. As of yesterday, October 1, Karen (blog owner and mind behind it all) started Slow Fashion October. The details are here, and the idea really appeals to me. I like that it's an "official" thing, but there are no requirements to do x amount of things, but rather at a minimum to be conscious of our clothes, and where they come from, what they mean, and who makes them. So I've decided to take part, and you might wish to as well. The prompt for Week 1 is YOU, and participants are asked to talk about themselves. So here is my contribution. I have been knitting for about 20 years. Prior to that, I did a small amount of sewing (and still do), and knew how to needlepoint and do counted cross-stitch. I still love both of those things, but knitting is what I do most of all. My mother was of the first generation where clothing was relatively affordable off-the-rack at stores, and she saw no reason to make her own clothes, or anyone else's. So other than hemming and sewing on buttons, she didn't do anything else crafty to pass along. Towards the end of her life, when she was confined to a wheelchair, her cousin taught her counted cross-stitch, and all of us have lovely things that she made for us. My oldest sister taught me basic sewing after she learned in a Home Ec class in high school. A couple of years ago, I learned how to quilt and I love that as well, but as I said, knitting is the constant activity for me. I have already been considering my clothes, after reading articles about how/where things are made, and lamenting our desire for cheap products, since none of us has a lot of money to throw around. I have also been reading Marie Kondo's book, and want to use some of her principles with my own closet. I do believe from personal experience that well-made things are a good investment. I often do not have the money to buy them, so I try to be more thoughtful now whenever I buy anything. I think my goals for Slow Fashion October will be somewhat modest, but hopefully attainable: I would like to finish one item already underway to wear by the end of the month, and I would like to complete a hat (which one has not been decided) by the end of the month. Right now, I have a couple of in-progress choices, and haven't chosen a particular one, but I have narrowed it down between two things: a shawl and a sweater. I want to get an idea of what else is going on for me this month before committing, so I don't frustrate myself on something that I am doing because I want to enjoy it. What about you? Have you ever participated before? Are you thinking of participating this year? Let me know! Have a lovely weekend, and for those of us either in Hurricane Joaquin's path or who will feel the tail end of his wrath, stay safe and dry!